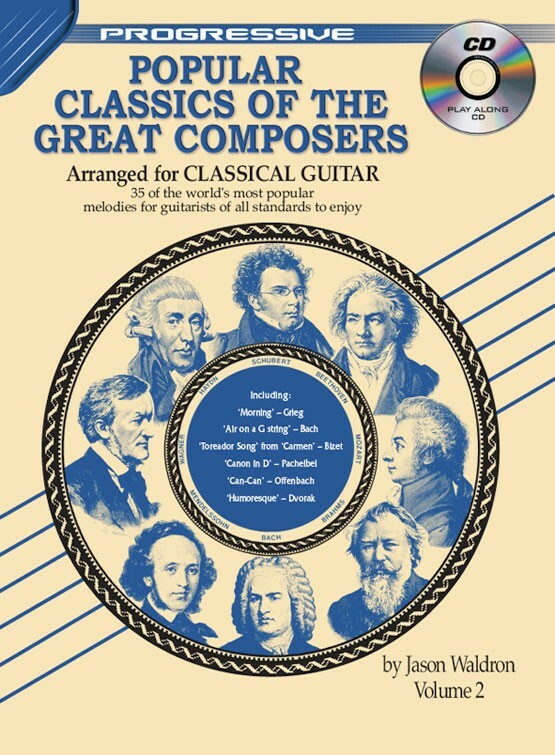 Progressive Popular Classics of the Great Composers - Volume 2 is suitable for beginner to advanced classical guitar students of all ages. 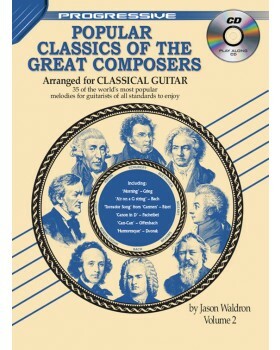 Basic knowledge of how to read music and playing classical guitar is required to teach yourself to learn to play classical guitar songs from this book. Guitar teachers will also benefit greatly by virtue of being able to substitute classic music for guitar written by Carulli, Sor and Giuliani by the popular instrumental music of Beethoven, Bach, Wagner, Mozart and Verdi.